Strobe Talbott served as president of the Brookings Institution from July 2002 to October 2017. Strobe Talbott was founding director of the Yale Center for the Study of Globalization. Before that, he served in the State Department from 1993 to 2001, first as ambassador-at-large and special adviser to the secretary of state for the new independent states of the former Soviet Union, then as deputy secretary of state for seven years. Strobe Talbott entered government service after 21 years with Time magazine. As a reporter, he covered Eastern Europe, the State Department, and the White House, then was Washington bureau chief, editor-at-large and foreign affairs columnist. He was twice awarded the Edward Weintal Prize for distinguished diplomatic reporting. In December 2011, Strobe Talbott was named by Secretary of State Hillary Clinton as chair of the U.S. State Department’s Foreign Affairs Policy Board, a post he held through Secretary Kerry’s tenure. 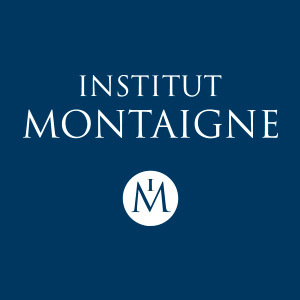 He was a Visiting Fellow at Institut Montaigne from April to May 2018. He particularly worked and shared his expertise on foreign policy issues. During this period, he gave us an exclusive interview to talk about American domestic politics and international relations in the Trump era. The United States and the world? We all know that Britain is exiting Europe. I’m concerned that the United States might be exiting from the world, unless it stops its bullying of other countries and goes back to being a world leader. If the United States continues to walk away from deals and agreements, it is going to be bad for everybody. The challenges that are out there include, certainly, Russia. Russia has gone back to its Soviet past, both with geopolitical aggression and also an ideology that is anathema to us in the Western world and those countries who are democratic. The United States under Trump’s presidency? The name of our country happens to have the word “united” in it, and we’re not a very united nation now. I put much of the responsibility for that to my President, Donald Trump. He is a divider, he is a bully and he is very narcissistic. For decades, Europe showed the world that sovereign nations can construct a system that allows them to govern the entire continent with rules and norms and policies that help democracies. I know it doesn’t feel as a great success right now. For the last couple of years, there have been tensions and failures, and there has also been a pressure from the East. And now, unfortunately, there are pressures from the United States.